Marketers are always looking for ways to differentiate their messages as consumers’ attention spans decrease from the constant barrage of information they receive. Printed direct mail is proven to cut through the clutter. 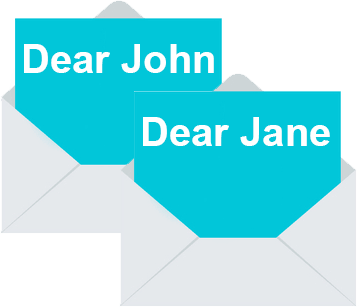 More so, direct mail that is RELEVANT to the reader – personalized or customized with a relevant message – gains increased reader attention. Whether you are a beginner or industry veteran we can help you apply this important touch point to your business. With over 18 years of industry experience, we can help get your message delivered in a no-nonsense fashion! We will work with you to do as much or as little as you need – from design, to programming, to print & mail exectution, and even response analysis. 61% of Canadians have purchased in-store in the past six months after receiving an ad in the mail (against 34% of Canadians purchasing in-store after receiving an email). 39% of Canadians have purchased online in the past six months after receiving an ad in the mail (against 27% of Canadians purchasing online after receiving an email or seeing an online ad). 52% of promotions and redeemed coupons are received through direct mail. Personalized Mail is highly effective for both PROMOTIONAL and TRANSACTIONAL print communication. Promotional mailings (formerly called Addressed Admail by Canada Post) allow companies to communicate on a one-to-one level with consumers by personalizing a mailpiece with a consumer’s Name & Address (in it’s most simplistic form); or by providing a consumer with customized content which is uniquely printed for them (variable coupons based on their shopping patterns, specific call-to-actions based on the consumer’s data, etc). Providing customized content, which is relevant to the exact reader, is much more effective than just personalizing an item with their name. Of course, personalized mailings may also be non-promotional in nature – such as a financial statement, an invoice, a tax slip, or a letter. These types of non-promotional mailings are generally described as being Transactional in nature (also known as Lettermail by Canada Post). Yet, many of the same foundations apply (data is used to personalize the item or make the contents 100% relevant and unique to each consumer). RDS can help by reviewing the data you have available, and then fully executing a mail campaign to meet your needs and budget (design, data, print, mail, analysis, report). When personalization is not required (or not possible due to a lack of consumer data), Neighbourhood mail is an extremely cost effective way to disseminate promotional material to a large audience. Generic (non-personalized) mailings can be sent to every household on a street, or postal code area, or any neighbourhood in the country matching your targeting needs. These households can be chosen using a variety of GEOGRAPHIC and DEMOGRAPHIC criteria you select. 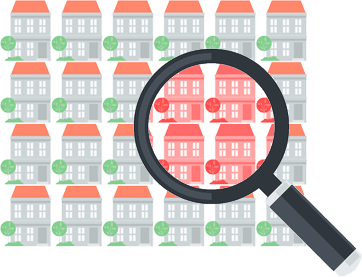 A common example of this process is when a Real Estate agent sends a postcard to every home in a specific area based on a recent sale. RDS prepares more than 4,000,000 pieces of Neighbourhood mail each month for clients large and small. Target households based on their Geography: Postal Code; Distance around a store, Bounding Streets; etc. Email Marketing is a less expensive approach to customer communication (compared to print), and it comes with its pros and cons. Some businesses prefer email since it may be more environmentally responsible. Others prefer email because dynamic, RELEVANT, content can be sent to each different consumer in an instant without the typical delay of printing & mailing. Others enjoy the ability to track email delivery, opens, and clicks in real-time, in order to fine tune their message. Regardless of the reasons important to you, we believe Email should be a part of any marketing or communication mix. As industry veterans with variable data communication and document production, we can leverage your permission based customer data to build appropriate Paper and Paperless communication channels. There are over 250 different email marketing solutions on the market. They all do more or less the same thing. It may be more important to have a partner you can work with, instead of the most expensive software. Relevant, segmented, email generates 18 times more revenue than general broadcast emails. US marketing executives believe email alone drives the same amount of revenue as their social media, website, and display ad efforts combined, according to The Relevancy Group. 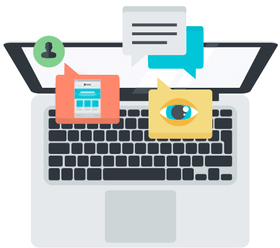 We will build and manage your email campaigns from start to finish (with your input and approvals, of course) so that you don’t have to worry about the details! Whether you want to send B2C or B2B email communications; or whether you are a non-profit or for-profit organization, we will work with you to determine your exact needs and goals and then provide the most cost effective, sensible solution to meet and surpass your needs. You can be involved as little or as much as you wish with your Newsletter, Advertising, Updates, Coupons, etc. 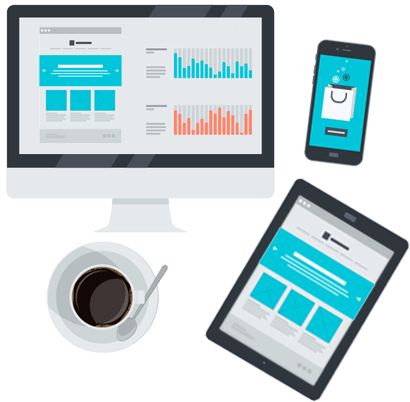 For those wishing to maintain all or partial control over their email campaigns, we provide state of the art email design and deliverability tools that you can use, and we provide as much or as little support as you wish. Whether you are using our PaperlessMail.ca tools, or you wish to use one of our sub accounts at popular services such as MailChimp, ConstantContact, or others, we are by your side.